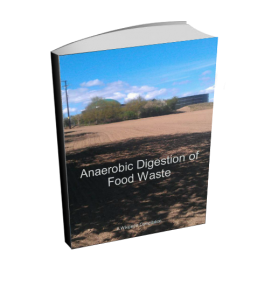 Download Our Free eBook from us, by clicking the download link below, which provides an authoritative introduction to the topic of Food Waste Anaerobic Digestion here! Food waste fed biogas digesters are some of the fastest growing biogas plant types nowadays. Many forward thinking investors in renewable energy are considering an investment in a food waste digester. 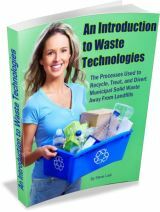 So, for many of them reading this ebook is just what they will need to help them to learn the drivers behind food waste AD plants, in many nations. We have selected the content of this eBook from Wikipedia (as encouraged by their Creative Commons Licence), so it is authoritative. We hope that you will appreciate being able to download and keep this eBook on your hard drive. You will not need to connect to the web to read it, and we have removed many of the distractions of reading a web page. You will never lose the link on which you found it either! This eBook will be particularly enjoyed by anyone who finds the wide (full-width) text across the pages of the Wikipedia website a distraction, as many people do. You can read this free biogas pdf, without any such distractions, indeed your browser need not be even open! Hiya, I like your post. I agree we waste far too much food. I recently published an Blog Post on storing gammon. I like to make my own gammon for Fall!. I will be making a tasty pudding to go with it. The kids will be off school and I am sure they are going to enjoy it.